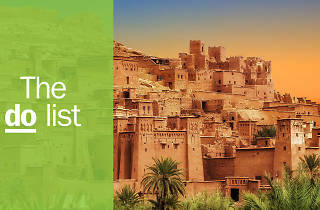 There are few countries more colourful than Morocco, or more ripe for adventure and boasting amazing things to do. 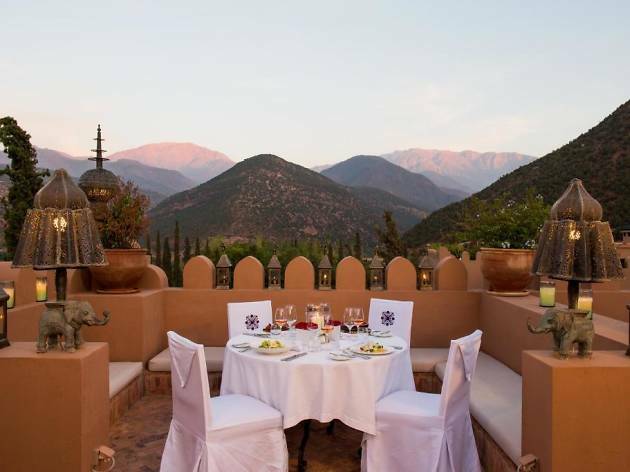 Morocco's rich mix of Arabic, Berber and European cultural influences are reflected in the blue cities, maze-like souks and the remote mountain villages which dot the epic Atlas mountains. By day you can get your kicks by bombing across desert dunes on a quad bike, or people watching with a steaming mint tea in the medina. And, by night, feel like a king as you snooze at an ornate riad hotel after filling up on mouth-watering tagines and tapas. Marrakech may be the Moroccan city that dominates the traveller agenda but its quieter coastal rival Essaouira isn’t to be missed, and remember the medina of arty town Asilah is just as photogenic as Blue Pearl Chefchaouen. Where is it? They span Morocco, Algeria and Tunisia. What are they? 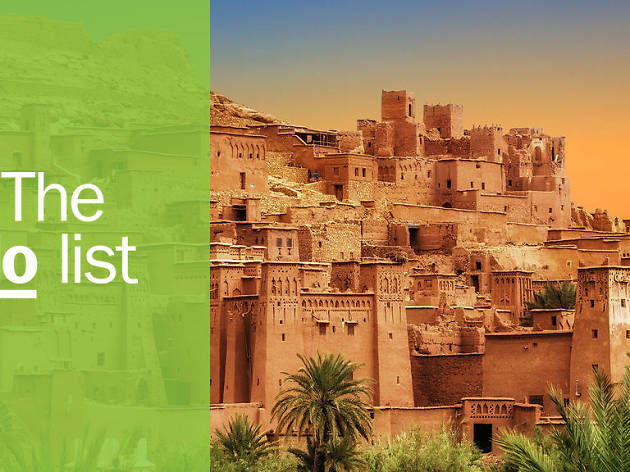 One of the world’s most breathtaking mountain ranges, where you’ll find Berber villages, rare birds (kudos if you spot an African marsh owl) and green valleys. 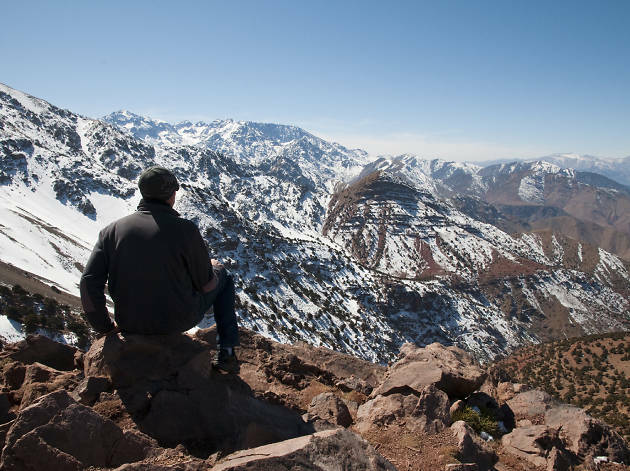 The High Atlas boasts Jbel Toubkal - the highest peak in North Africa. Why go? For an unparalleled sense of calm. You'll barely see a soul while you're up there. A guided hike from Jbel Toubkal takes five days and the best deals can be found via local companies like Aztet Tours. If you're not such an intrepid explorer, try a day's guided tour to the peaceful Ouzod Waterfalls. Where is it? Morocco’s Atlantic coast. What is it? 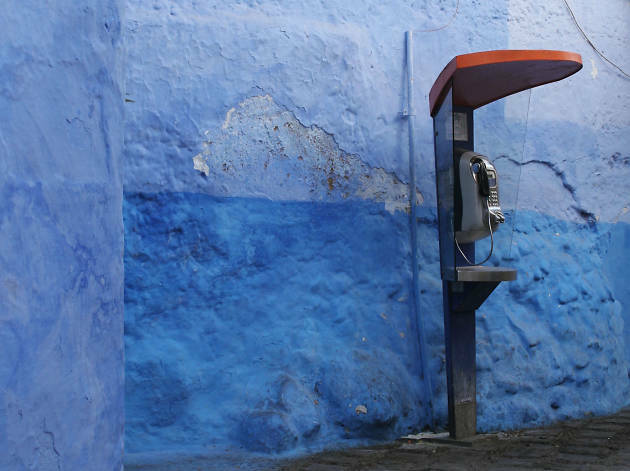 A coastal city with a postcard-pretty blue and white medina and sandy surrounding walls. 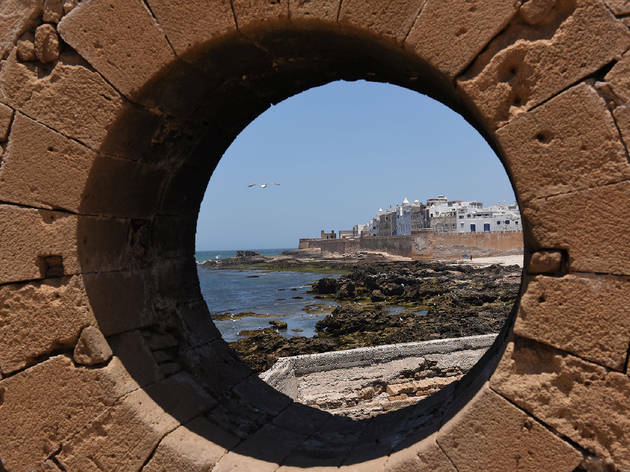 Essaouira is famous for the wild beach of Diabet village where hippies settled in the 1970s after they were chased out of Ibiza. Why go? 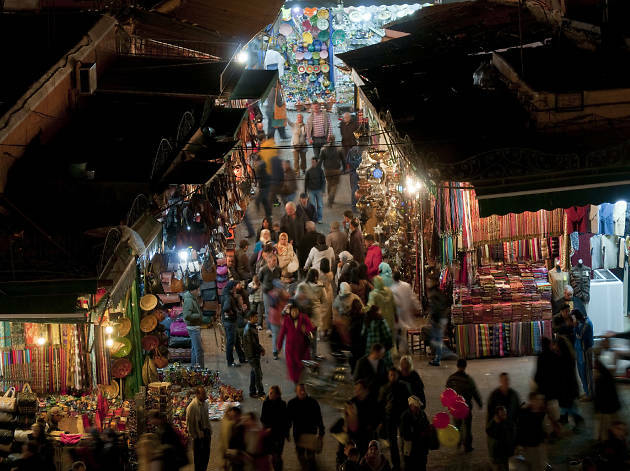 It’s more chilled than Marrakech while still offering a buzzy souk and alleys to explore. Plus it’s great for surfing. Perhaps the best (and most exhilarating) way to see the wild beaches, villages and argan forest outside the city walls is on a quad bike tour. What is it? A restaurant in a beautifully restored traditional house in Fes medina, with a roof terrace for cocktails. Chef Younes Idrissi curates a French-Moroccan fusion menu inspired by local seasonal produce. Why go? If you get bored of couscous and tagine and fancy an affordable fine-dining experience – a slap-up three-course meal costs just over 25 quid. Dishes include braised rabbit and yoghurt, and bitter chocolate tart for dessert. Where is it? Just outside of Marrakech. What is it? 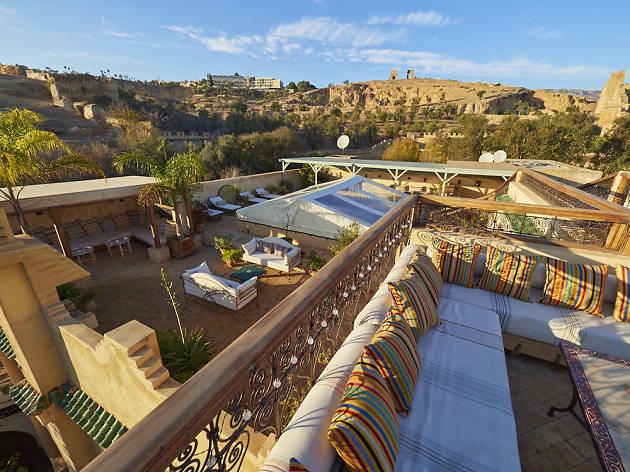 A bougie Berber-style country club and hotel. The beautiful gardens, conservatories and oasis-like pools make it a favourite for weddings and celebrity getaways. Why go? Because what could be more civilised than swimming by a pool overlooking rose gardens? That’s what a day pass will get you (for around £300, plus lunch and freedom to explore the on-site souk, pottery shop and bakery. If you’re feeling flush you can book in for spa treatments or hammam. What is it? 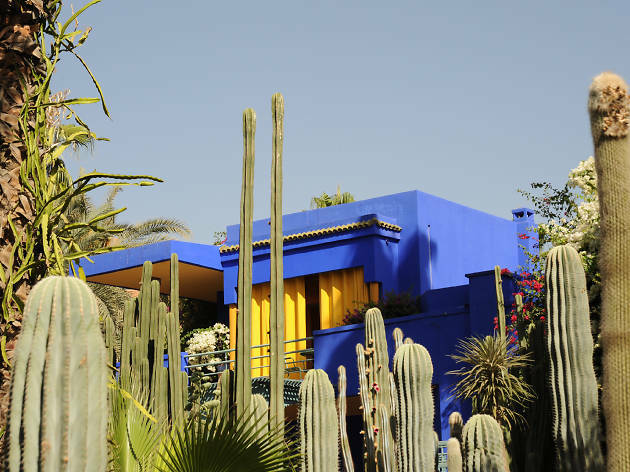 The residence and gardens created by Parisian artist Jacques Majorelle in the 20s, and later home to fashion guru Yves Saint Laurent. There are 2.5 acres of gardens to explore, plus the Berber Museum and as of last year, Musee Yves Saint Laurent. Why go? The exotic gardens with their rare flora and a cactus collection and the distinctive cobalt-blue villa are Instagram gold. Pay your respects to Saint Laurent in the rose garden where his ashes are scattered. What is it? These ornate caves in the port of Tangier are the stuff of legend; allegedly the site where Hercules rested during his labours. They open onto a beautiful beach with views over the Atlantic. Why go? 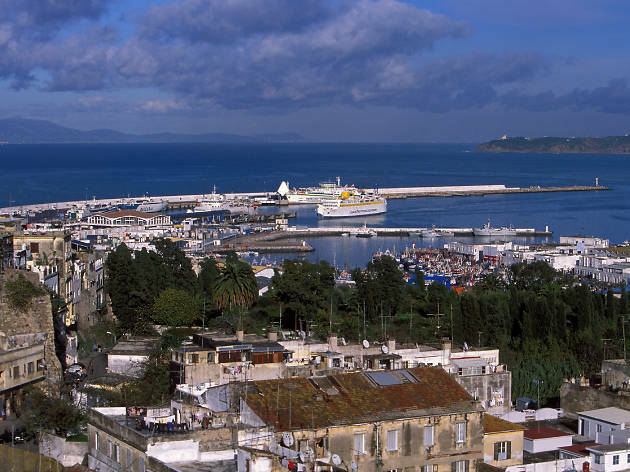 If you're exploring the outskirts of Tangier get a guided tour for a few pounds and you'll receive a captivating history lesson. At sunset this place comes into its own: the famous opening of the caves is shaped like Africa, making for the ultimate silhouette photo opportunity. Where is it? The Rif Mountains of northwest Morocco. What is it? A historical city in the northwest with a picturesque old town that looks like its been hit with a downpour of blue paint. The centre has a laid-back European feel with open-air cafes and restaurants. Why go? Wandering around the pretty blue buildings is a great way to spend an afternoon, while in the morning a guided hike to d'Ackchour Waterfalls along the river is a must. Grab a fresh OJ from the street vendors to cool you down. What is it? A cool, high-end restaurant in the city centre next to hammams and overlooking a spice market. It’s popular meeting point for locals and tourists alike and hosts pop-ups from international chefs. Why go? 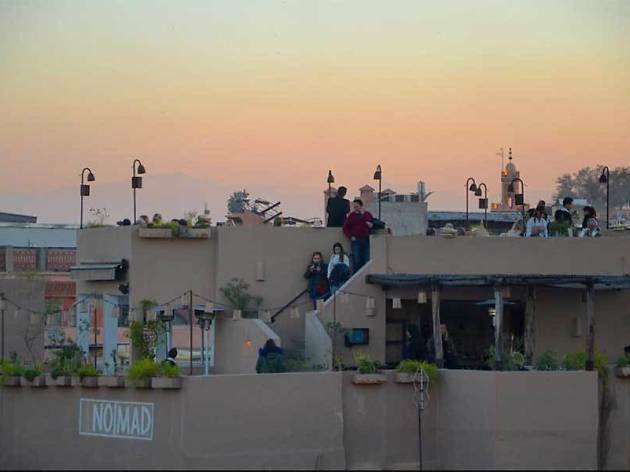 The menu of modern takes on Moroccan classics is a winner, but its main draw is the chic rooftop with 360 views of the city. 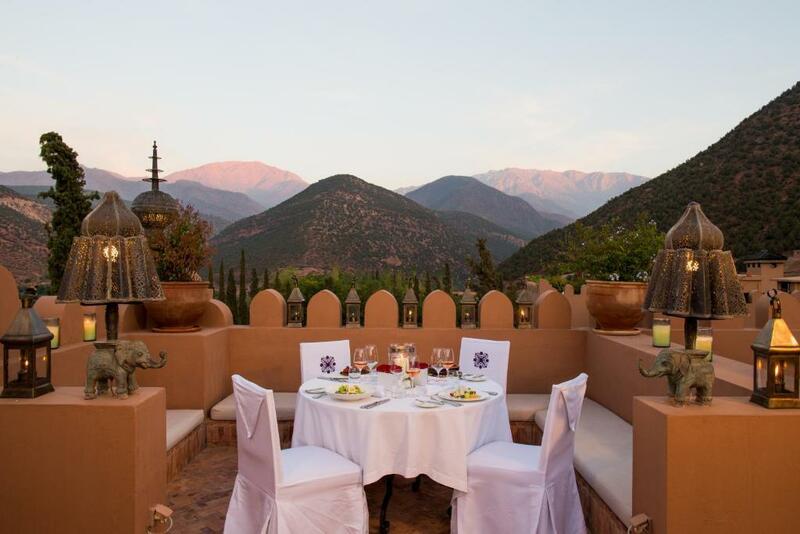 Grab a drink and watch the sunset behind the Atlas Mountains. What is it? 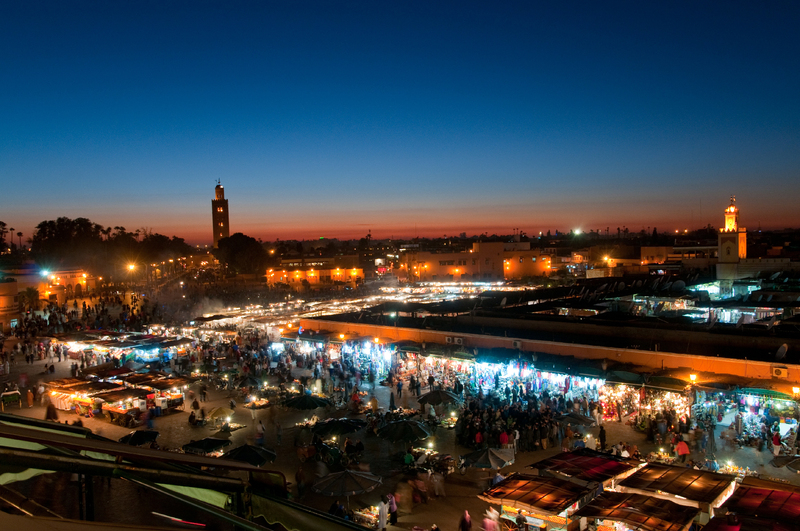 Souk is the Arabic word for marketplace or bazaar. 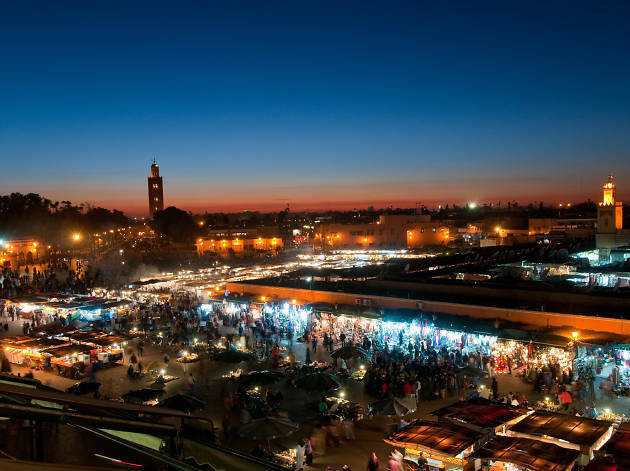 Marrakech is the original market town, with a heady maze of market streets selling everything from leather goods, to lanterns, to Berber rugs. Why go? To shop the beautifully designed homewares and fashion at Souq Cherifia, the spot where up-and-coming designers have their pitches. You can get some great bargains across the main stretches of Souq Semmarine and Souq el-Kebir, but remember to shop around and haggle hard. What is it? 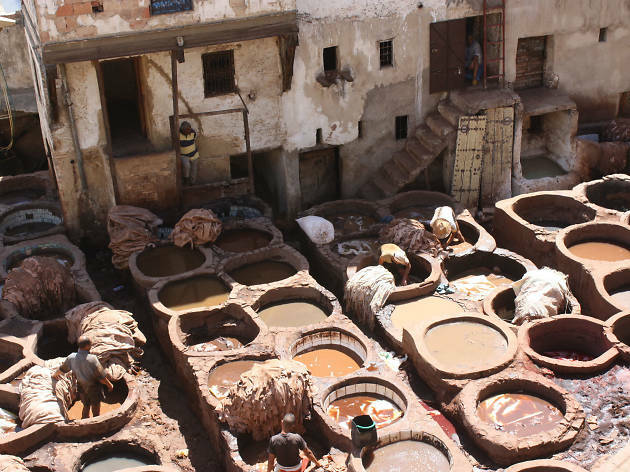 A large traditional leather workshops in Fes where you can see leather being made and dyed in the traditional way. Naturally, it’s also a great place to buy quality leather goods, from shoes to bags. Why go? The way leather is made in Morocco dates back to Medieval times, so it really is a rare sight (and smell) to behold. To be able to peer into the pits you need to stand out on the terraces of the leather shops in the surrounding walls. Visit in the morning to get a snap of the colourful dyes. What is it? An open-air square which really comes alive in the early evening when it transforms into a dining quarter and a hub for entertainers to show off their tricks – from snake charmers to acrobats. Why go? To eat your way around the food stalls serving small plates of traditional tapas like spicy sausage, couscous or snails – if you dare. Once you’re full, head up to a rooftop terrace for a better vantage point. Where is it? 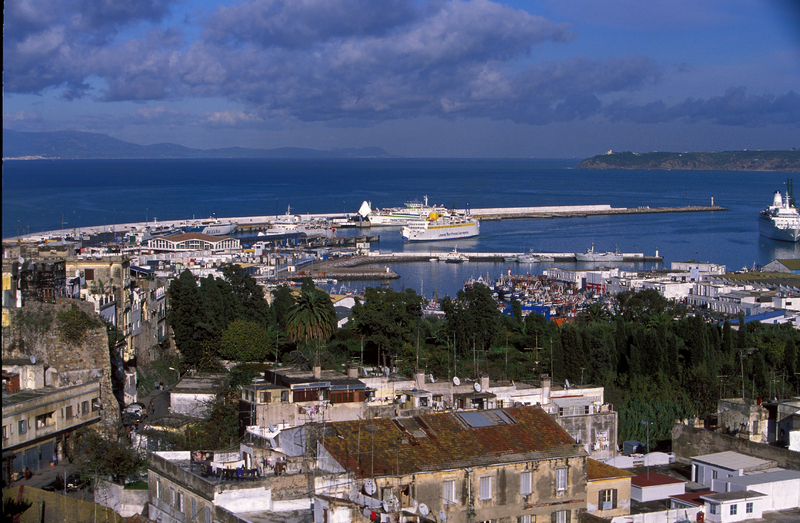 Morocco’s Atlantic coast, south of Tangier. What is it? An arty town on the Atlantic coast with murals painted all over its medina. It was Spanish territory for a long time which is reflected in the food (paella, anyone?) and historic ramparts. Why go? 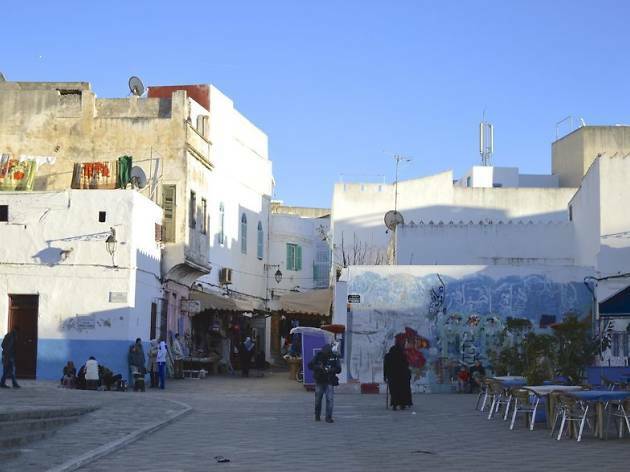 For the annual Moussem Culturel International d’Asilah festival which invites a different country to showcase its culture each year across galleries and exhibition spaces and by painting over the white-washed walls of the medina. If you've rented a car take the pretty winding drive through the Rift Mountains to Chefchaouen. What is it? The atmospheric walled ruins of a Roman town not far from the current medina of capital, Rabat. It famously features both Roman ruins and the remains of a mosque. Why go? 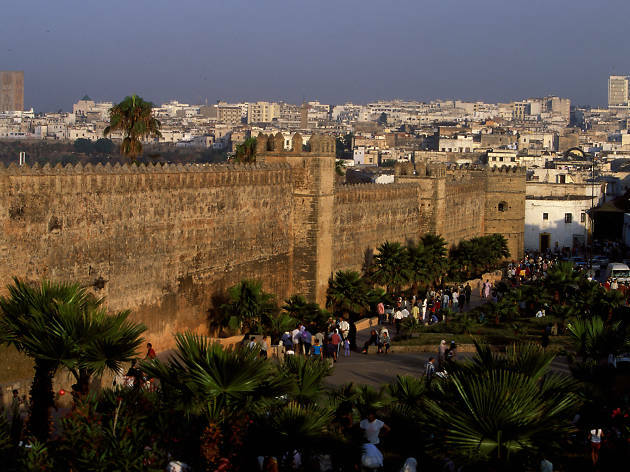 It’s one of the most dramatic historical sites in Morocco, made extra pretty as its now overgrown with flowers, bamboo, fig and olive trees and is inhabited by storks who’ve nested on top of the ruins. There’s also a pool where you can catch couples feeding boiled eggs to eels as a fertility charm. 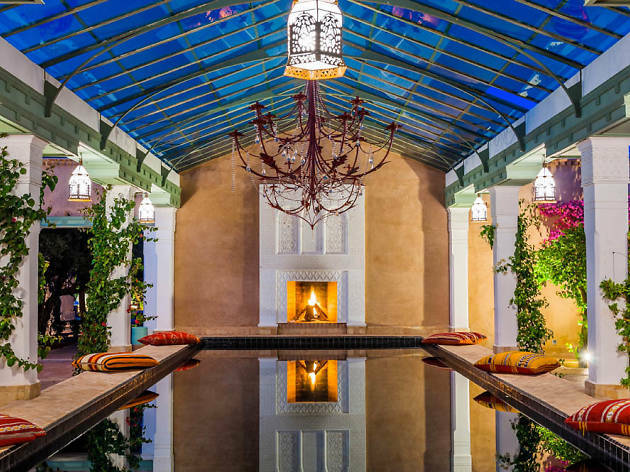 Looking for a place to stay in Morocco? Accommodation here varies from opulent international chains to basic backpacker digs, from mountain-top kasbahs to enchanting city riads and laidback beach belles to wellness retreats - with prices, especially at the mid and lower end, that are a steal compared to Europe.